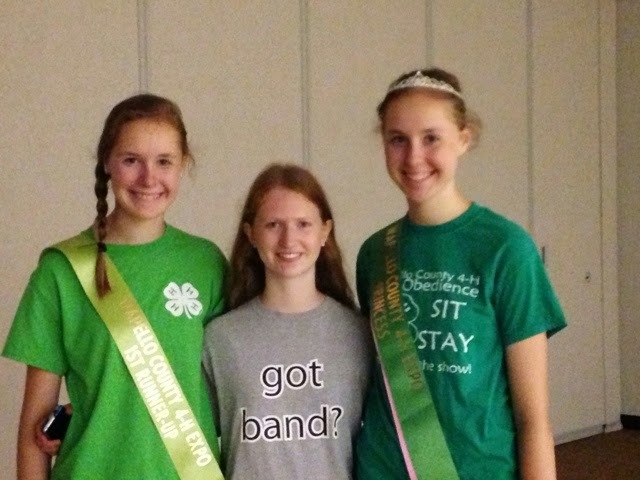 My kids started in 4-H when my oldest turned 9 and my little one was 7 ish. I enjoyed the fair activities and friendships that emerged from the experience. Kids can learn many skills from cooking, photography, woodworking and communication skills. There is also an agricultural component that my family participates in. There is also the usual pageant contestants and above is a picture of this years princess in her casual clothes. 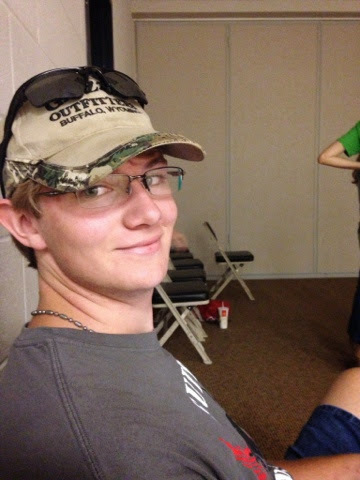 My son enjoying a little down time during the Expo. 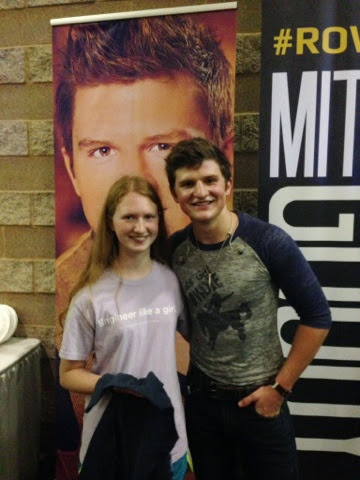 One fun thing this year we had a country music concert by Mitch Goudy. He is an up and coming artist and if you follow country music his name will be popping up. 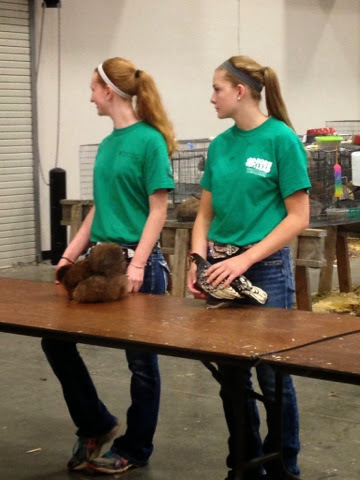 The girls in Advanced Poultry Showmanship competition. There is a lot of interest in the poultry area and we need every 4-Her we can find to help hold the birds when they are being judged. 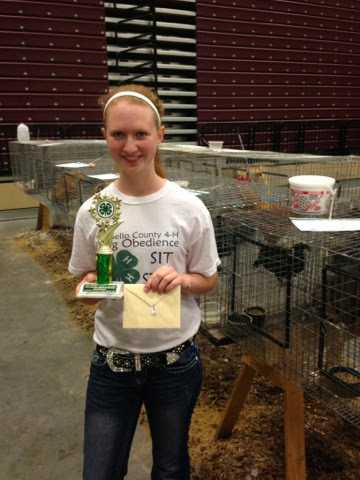 The Reserve Champion Poultry exhibitor. 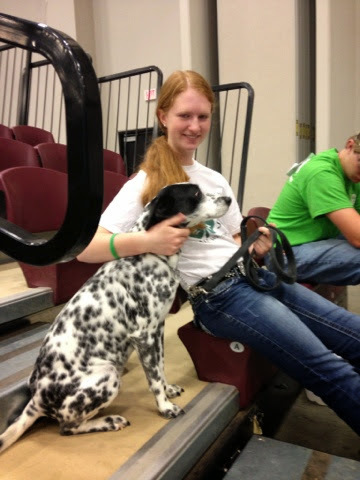 Another great project includes the dog project where they take the dogs to obedience and agility classes and compete in both of those areas during Expo week. 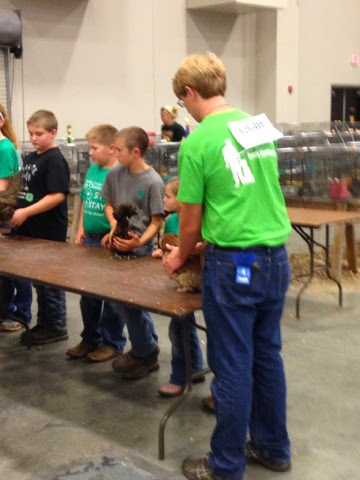 Some of the 4-Hers take animals from the local humane shelter. Well at our house the big event is over for another year. We will start planning this fall.